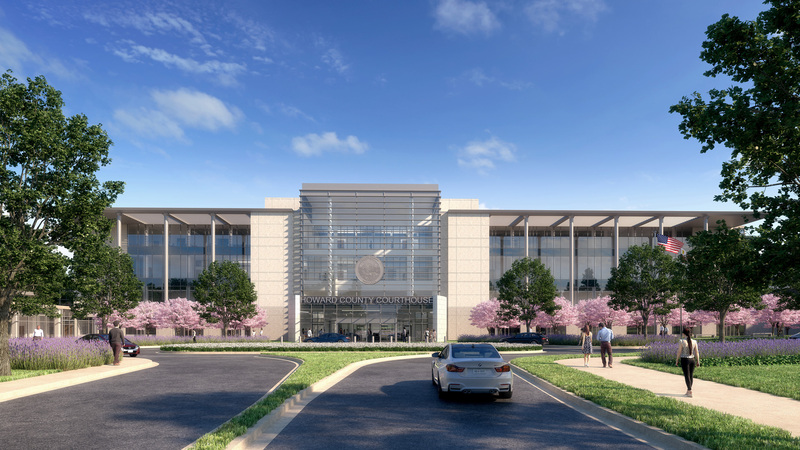 Interface Multimedia helps Edgemoor, HOK, and Clark win the new Howard County Courthouse. Interface provided 3D animation, video production and design services for the winning team. Howard County awarded a new 30-year Courthouse development project to the Edgemoor-Star America Judicial Partners team. Interface Multimedia helped the team visualize and animate the design of the project. The award is an example of a Design, Build, Finance, Operations & Maintenance (DBFOM) approach to development of which Edgemoor is an experienced leader.